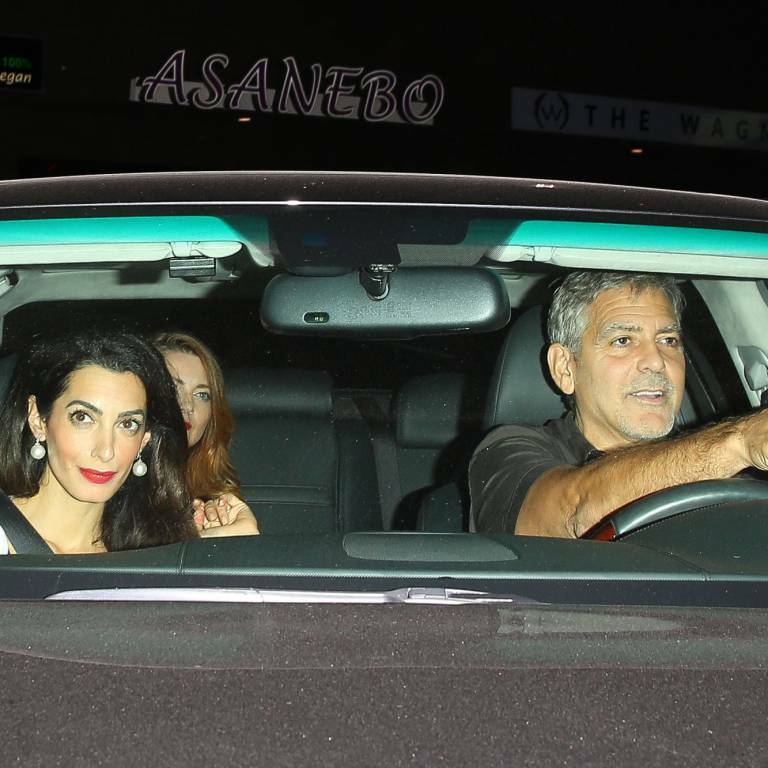 Amal and George Clooney kick off their first wedding anniversary weekend with a romantic sushi date at the Asanebo Restaurant in Los Angeles, California. 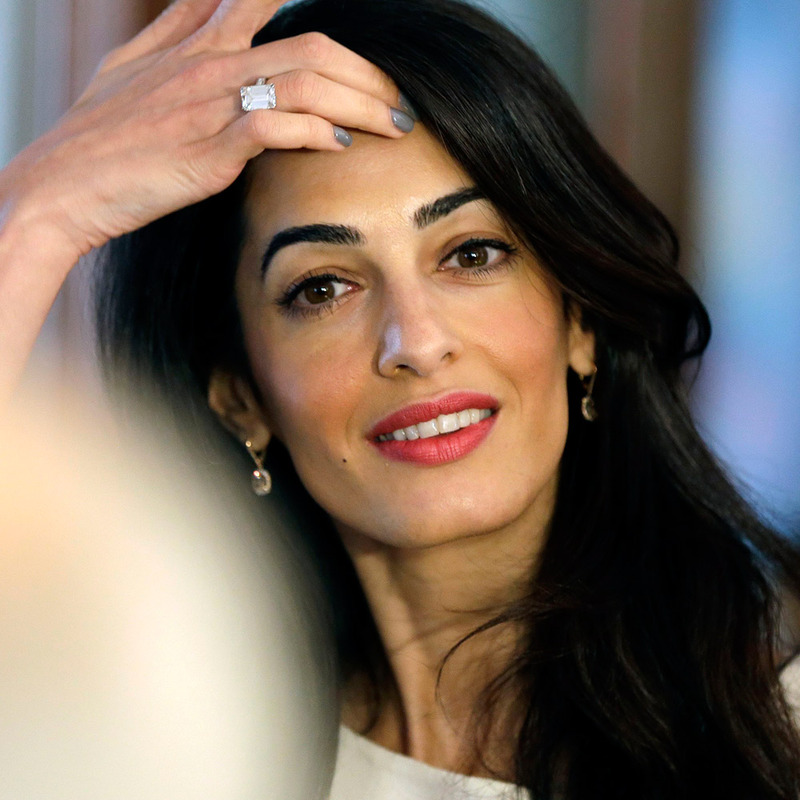 Amal Clooney wore a dress by Tome with pearl earrings and beige clutch and wedges. Head of Social Media CNN & Senior Director of Strategy. And for the earrings, I found some pictures of FanFan a sucessful singer in China with the same earrings and she is wearing a matching Chanel necklace. She looks perfect ( every single detail is perfect ) but seems to have a bad hair day . I love this dress and love the sandals she has with them, casual but looks fantastic as always. Any idea what the sandals are? I am glad to see they are back together again Does anyone know when their home in the UK will be ready? 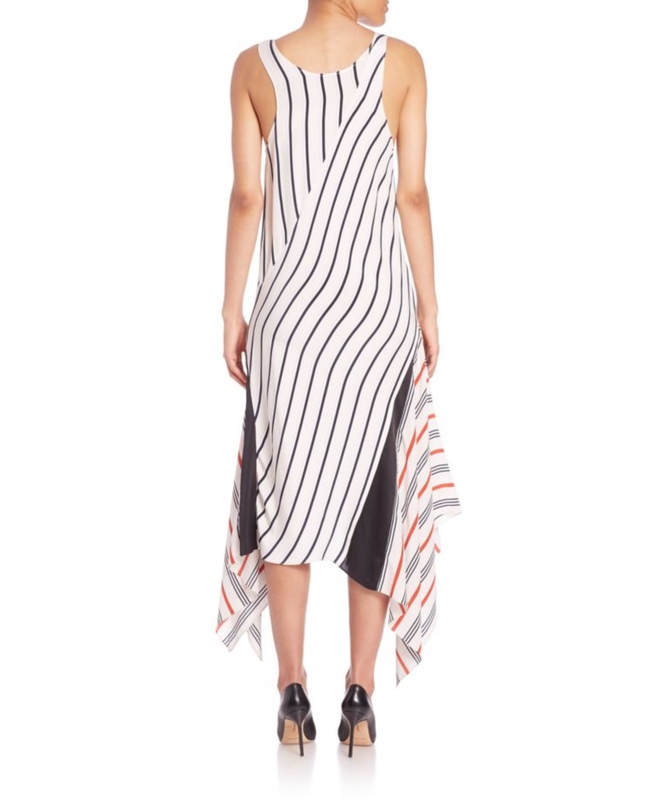 I think that she wore the same wedges with her Stella McCartney printed dress in Ibiza. I will update the post later. Their house in the UK is not ready currently. George jumped into the car and left her to fend off the media scrum. Romantic??? The dinner was romantic and George was still saying goodbye to the restaurant personal. George wares a uniform. This works for him. Black, black black. Leave him alone. Nati: is the girli in the back seat (?) her niece? Also in the pictures at Laglio. I don’t know exactly. In Lagio it was a family meeting. She looks completely beautiful. What lovely pictures. Don´t like the dress but like it much on Amal, she looks cool and effortless. Don´t like the very red lipstick, and the rouge on her cheeks is too red and too much – both make her look hard and older too. 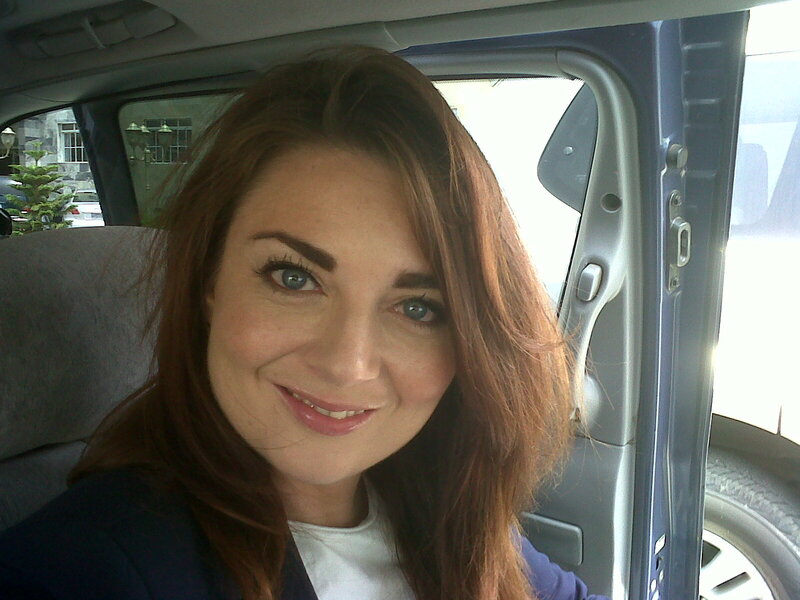 Less make up would be more … youthful and beautiful. I actually think this dress looks better on Amal than on the model, and I am glad to see she is wearing shoes that fit her feet! That is not her niece, and they were with the woman for dinner so that was not a romantic dinner. 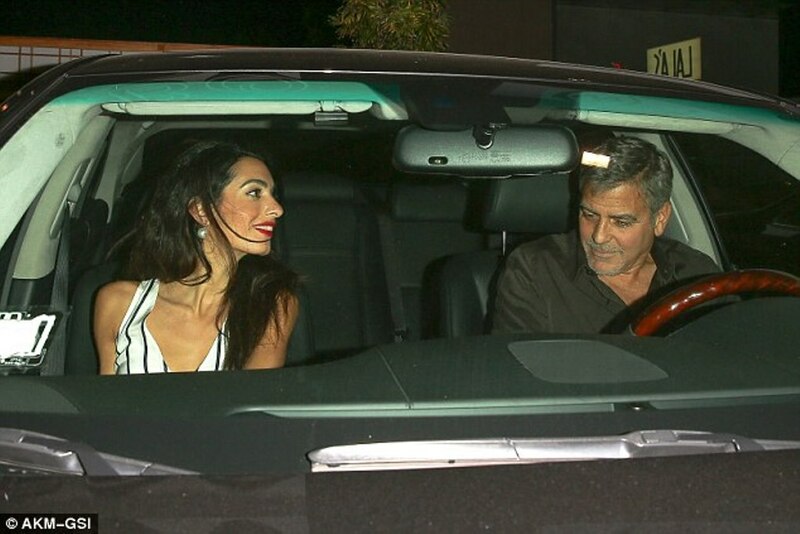 The waiter helped Amal into the car. If that is the case and if not, she really needs to stop dieting. 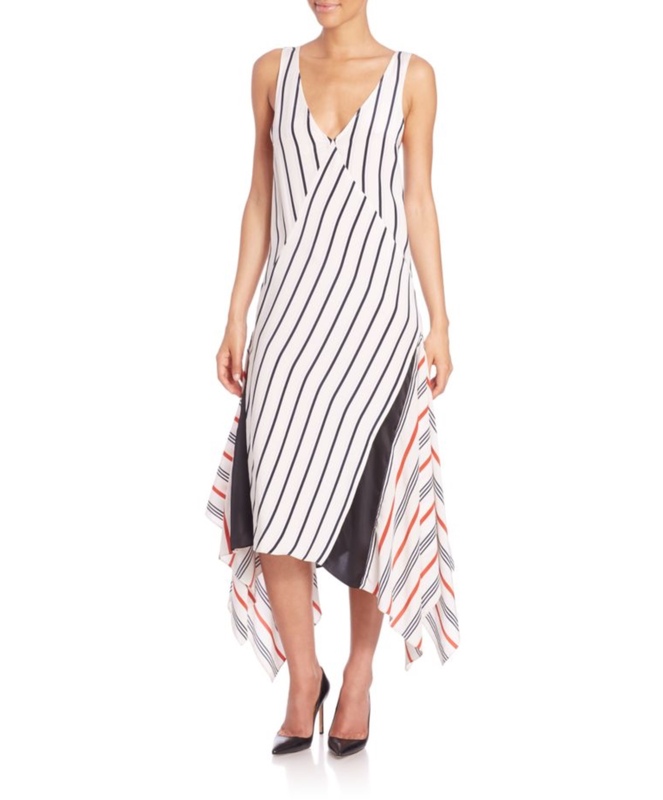 She looks way too thin, especially in this dress. It will change when she will have a child. Personally I think that it is due to the medias pressure and George always loved very thin women. Sometimes they took one plate for both. Oh dear. I don’t think she looks too thin at all. I think she looks fabulous. i dont see ANY difference from now to when she was single. She looks tje same tyo me, it is her genetics, just very thin naturally, i have met many people like that, she is healthy i am sure. I would even bet that she eats a lot. Fast methabolism perhaps. I share with my husband sometimes too! The makeup seemed really heavy really camera ready for a relaxed night out. The dress and sandals are nice; but Amal wears too much make up and her hair is not to its usual high standard. I do not know what is going on with George. He is 54 years old, but he looks older than his years. Maybe the girl in the backseat is a personal assistant of some sort?? Beautiful head to toe, but heavy heavy on the makeup. Cheeks, Eyes, Lips….all very heavy. Her beauty never needs that much makeup all at once. She looks like she did her own makeup this time. this maybe true , her makeup looks different . & Nadia I agree with you – MAC 👎🏻 is the worse – . OMG ” Samantha ” it’s thier first wedding anniversary get a taxi ; although i don’t think Amal would wear this dress to such occasion ; I think it was a normal date with friends . Sushi =! Celebration . George, great looking guy, but he has aged a lot in the past year! The last few outings in public he has looked very worn and tired. He looks a lot older than 54 years old. It seems to be catching up to him all of a sudden. I agree. I think he looks old for his age. He’s had some less than successful films lately so maybe he is affected by that. I do hope he is ok and not unwell. The shoes are dreadful with the dress. 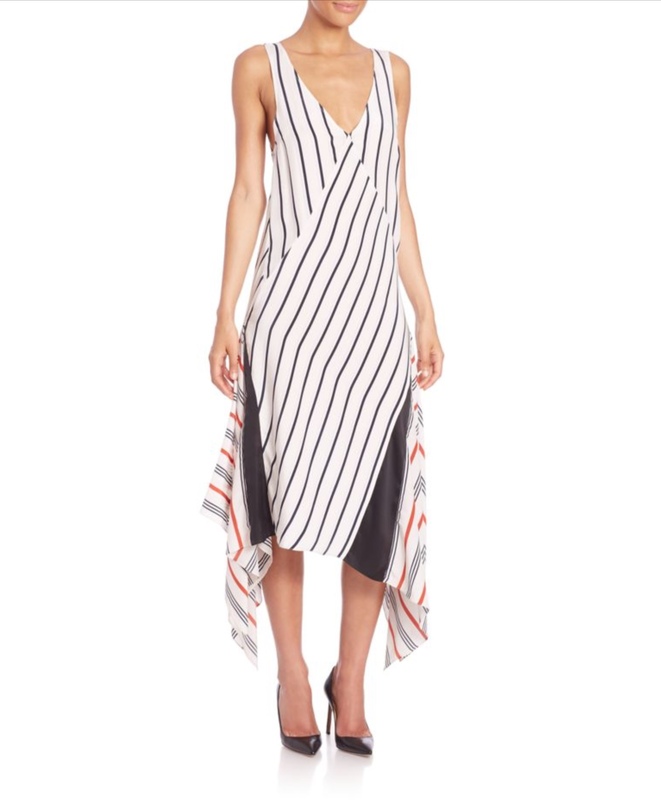 Red, black or white sleek kitten heels or flats would be much better. Also the clutch is ugly. The clutch and shoes are to clumsy for the dress. Agree, it’s nice to see them together again. I’m struggling to like this dress though, looks like a misshapen nightie to me, and her hair seems dry and frizzy at the ends. Her make up looks slapped on quickly, back to the 80s heavy movie style. She is so pretty with less (even I’m tired of repeating the ‘less is more’ adage). They both look tired and George looks slightly dishevelled and frazzled. They both have looked better – but it’s also nice to see them look so human too! It has me curious too. A story that will probably just unfold later. CNN sometimes features certain special stories. The other day there was a 1 hour show on Pope Francis. And I’ve seen other stories. 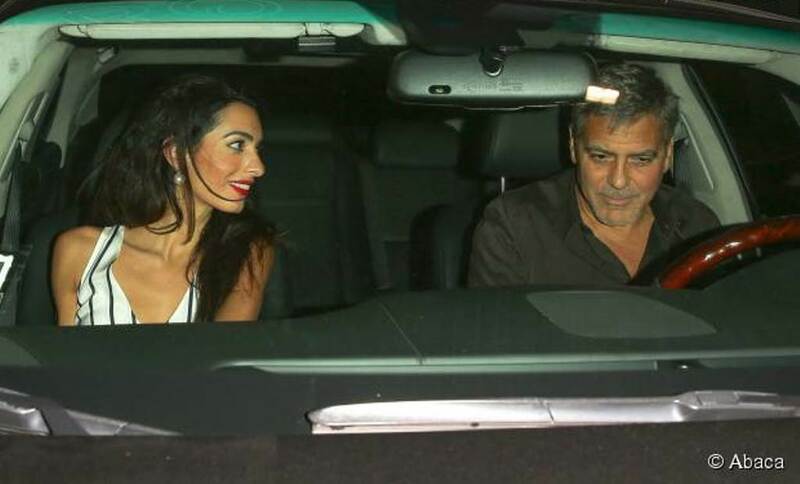 Perhaps she is doing a public story on the life of George & Amal after 1 year of marriage. I’m sure there’s a story that goes with having dinner with Samantha Barry. There always is one. Amal definitelly wears this dress bether than the model did, a very Amal dress actually, it works for me. However, i think Amal is wearing that makeup kit again, i dont know who makes this make up kit, it would make any woman look too hard! The colors are too dark and not flatering on the skin, makes me think Mac , that is why i dont like Mac. I would had preffered a different shoes with this dress and a different clutch. Where are the earrings from? Hi , Nati, what happened to the photos with Amal in this pretty, clean, chic white Chanel outfit? I can no longer find them??!! I really loved this costume, even though I couldn’t judge about the shoes hoping they were flats as in the Chanel promo except for the socks- of course. Pls try to answer- in case you have the time. Thanks for your good work. Don’t care for the dress. Doesn’t do her justice. She should stay away from sandals…..they do not look good on her feet. 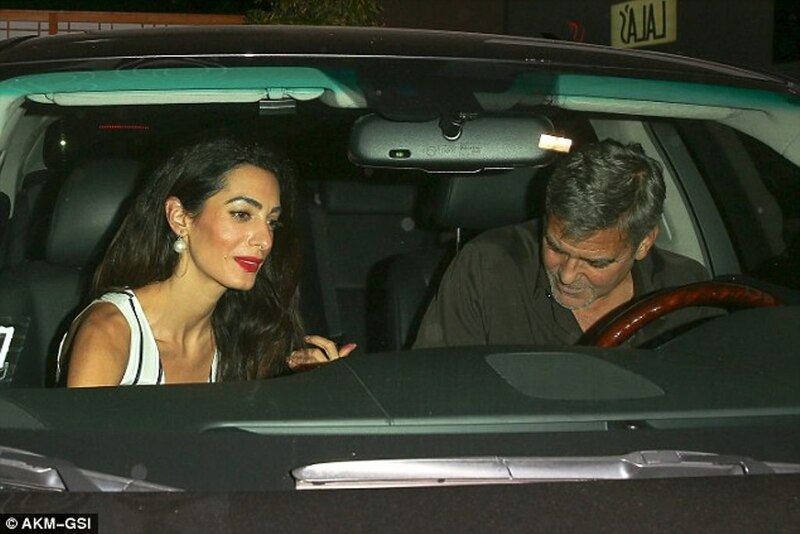 George looks un-kept… which makes Amal look overdressed.